Android 6.0 Marshmallow is increasingly becoming available to many non-Google devices all over the world. While many Android OEMs have been accused of delaying their software updates, some of them are really working hard to ensure their older devices are equipped with the latest operating system from Google as soon as possible. 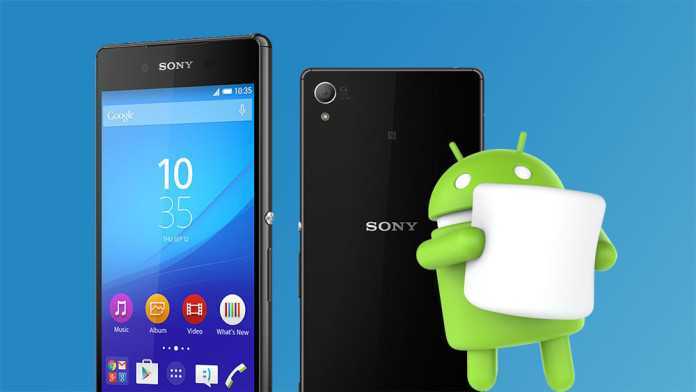 Sony is one such company and in the latest, it will be pushing an Android Marshmallow beta update to the slightly older Sony Xperia Z2 and the Xperia Z3. This is good news for users of these Sony devices given that most OEMs usually cast aside some of their older devices as far as Android OS updates are concerned. In fact, the company launched a Xperia Beta program aimed at older devices. As it seems, the previously released Marshmallow beta version had some issues that the company saw and consequently moved in swiftly to take care of. Sony has made some changes in the new release and is encouraging those using the older release to check out the new one. One thing that the new Beta will take care of is the issue related to the Double-tap to wake feature. Some users have been complaining that the Double-tap to wake feature has not been at its best as it sometimes stops working. Sony has also dealt with the issues related to Bluetooth devices’ audio; something is feared to be coming back on the newer Xperia Z5 after updating to the new OS. The only problem here is that the Xperia Beta Program is only available for older Sony smartphones and not the latest ones. The issues affecting Sony devices after updating to the new software are actually not new at all. This is especially true if you have updated a device to new software before. Usually, software updates come with many issues of instability and poor performance. However, through incremental updates and fixes, these issues are usually taken care of. This is where the Xperia Beta Program comes in. If yes indeed the problem is headed to the Xperia Z5, this might well be the best time for Sony to address the issue for last year’s flagship. Whether the company will add the Z5 to the Xperia Beta Program is not known yet, however, one user has pointed out on the Xperia Blog that this phone is actually included in the program.